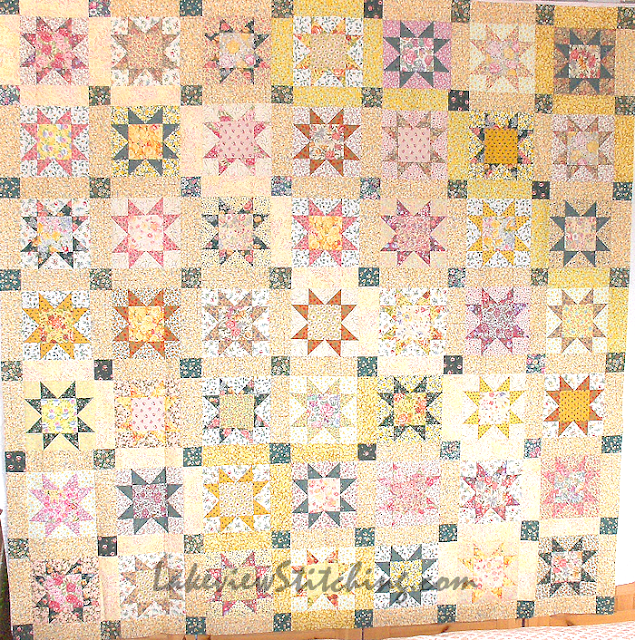 Not too bad from a distance, but I can tell you that pretty much everything that could go wrong did go wrong on this quilt! 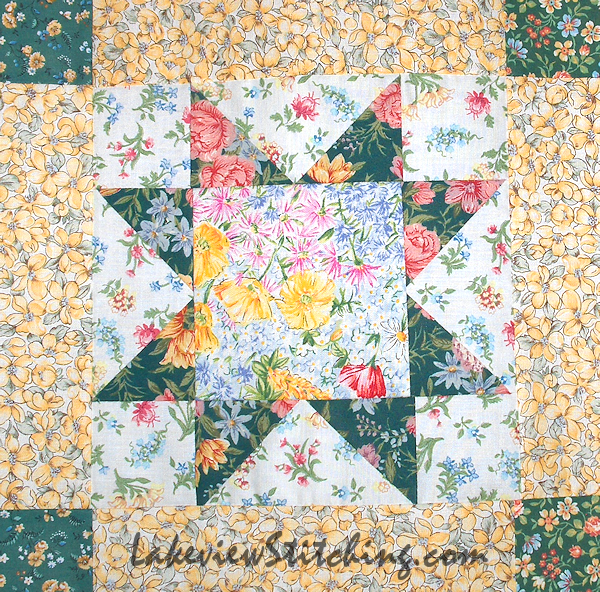 Even when I started starting quilts in the late 70s, my feeling was that if I could set in a sleeve, sewing a quilt would be a piece of cake. So I had no lessons. How hard could it be? But, as most of you know, putting a quilt together takes a lot more precision than sewing clothes. 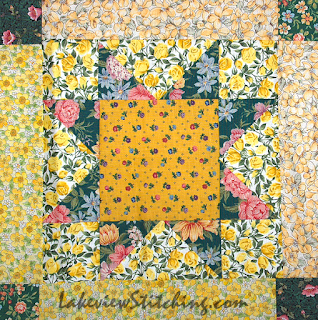 Living in California in the mid to late 90s, I started this, my third attempt at quilting, with a collection of small scale yellow and pink florals. Every fabric is a floral. 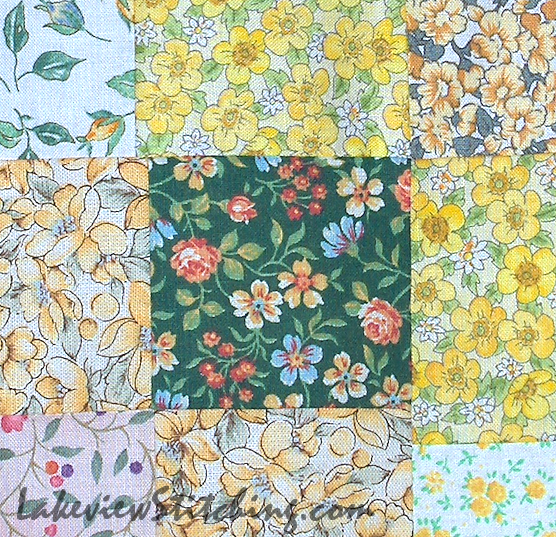 Some are from proper quilt shops, but many were very cheap fabrics from Joann's. Mistake #1: I didn't pre-wash the fabrics. 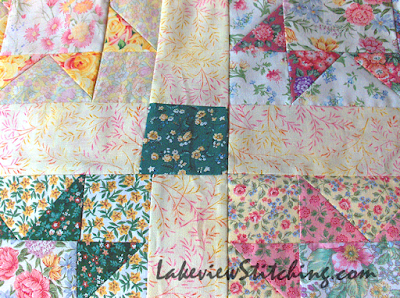 Mistake #3: I didn't know to add extra seam allowance for rotary cut triangles. So none of the triangles fit properly, and some of the seam allowances are very scant. It is amazing that most of the stars look as good as they do. I guess I'm finally ready to improve my free motion quilting, so the plan this fall is to get this basted and least partially quilted. It will be a good warm up for the others! 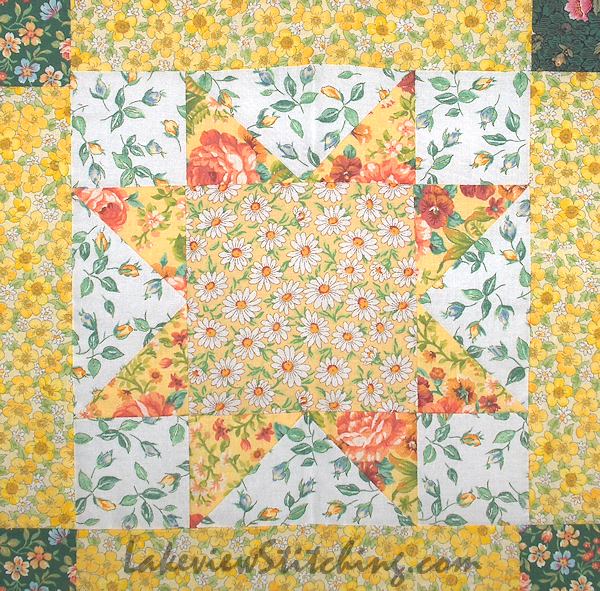 Well, for a first quilt, this one is pretty darn good. And I see that you have been working successfully with prints for a very long time. You certainly do have an eye for value and balance. Re: the 5 mistakes. Most of us likely have very similar "artifacts" (as in more then one) somewhere in our cupboards that we could unearth, with the same 5 mistakes. Bravo to you for revisiting the quilt after all this time and giving it another chance. When all is said and done, it will be beautiful regardless of the "wonky" factor. Your quilt definitely made me smile. So many florals! I hope you show us again after you quilt it. I think we all have one (or two) of these quilts! Kudos to you for dragging it back out to finish up. It'll be a great one to practice on! I was "off the grid" for a bit with the wedding and all, so I missed this when you first posted. 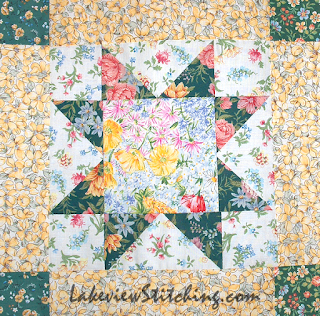 The florals are lovely and even in the early stages of your quilting life, you knew how to put things together visually. 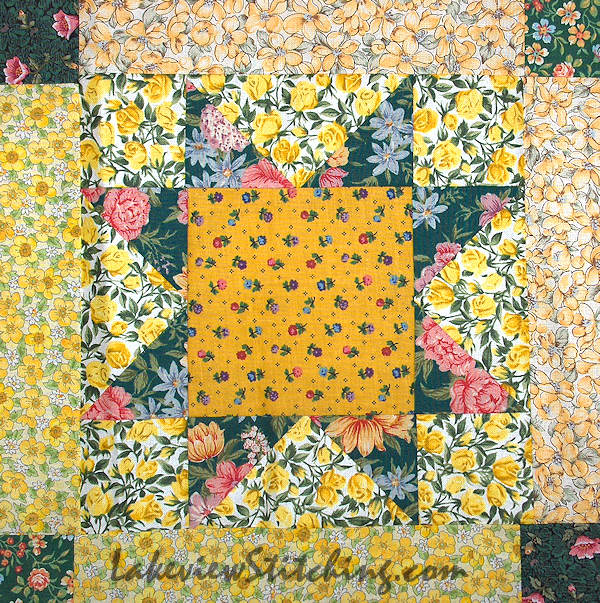 The most technically perfect quilts can be really boring without that ability. So give yourself a break already. The "wild" block is very in these days. Have you ever seen quilts made by Kathy Doughty of Material Obsession? Ai, yi, yi. Yours pales in comparison. 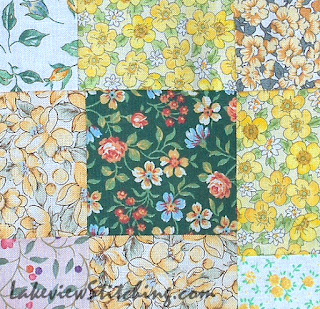 Use it for quilting practice and if you can't stand to look at it when it's finished. I am sure there is a nice lady at a senior facility who would love to have it. I think it's quite nice. Well, I guess there's time enough for countin' when the dealing's done! At least you got your analysis out of it - and a good story. I could benefit greatly from your experience - so thanks for the wisdom and the sharing.